The University Testing Center offers a variety of exams for undergraduate and graduate students at Florida International University and the local south Florida community. Testing services are provided at both the Modesto Maidique Campus and Biscayne Bay Campus. The Center administers the CLEP, TEAS, PERT, FLATS, Senior Assessment, HESI, LSAT, SAT, ACCUPLACER and various other professional evaluations. In addition to providing make-up exams, proctoring services are also provided for individualized distance learning exams. The University Testing Center supports students’ cost-to-degree, time-to-degree, and time-to-employment by providing examinations and resources that assist with academic and professional advancement. 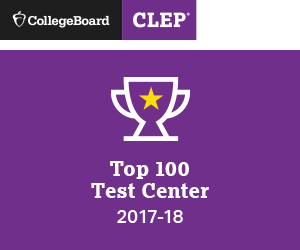 The Center serves the assessment needs of students and the overall community by subscribing to the Professional Standards and Guidelines established by the National College Testing Association.